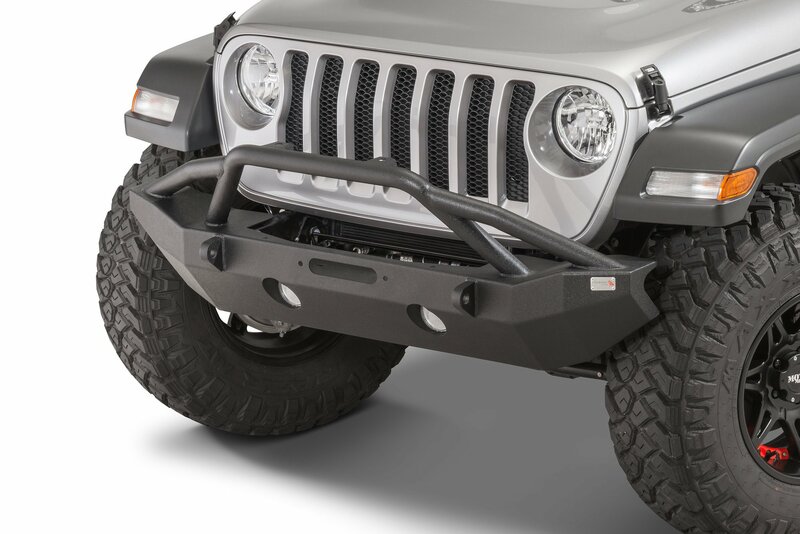 Get your Jeep Wrangler JL ready for off-road abuse with the Fishbone Offroad Mid-Width Front Bumper. 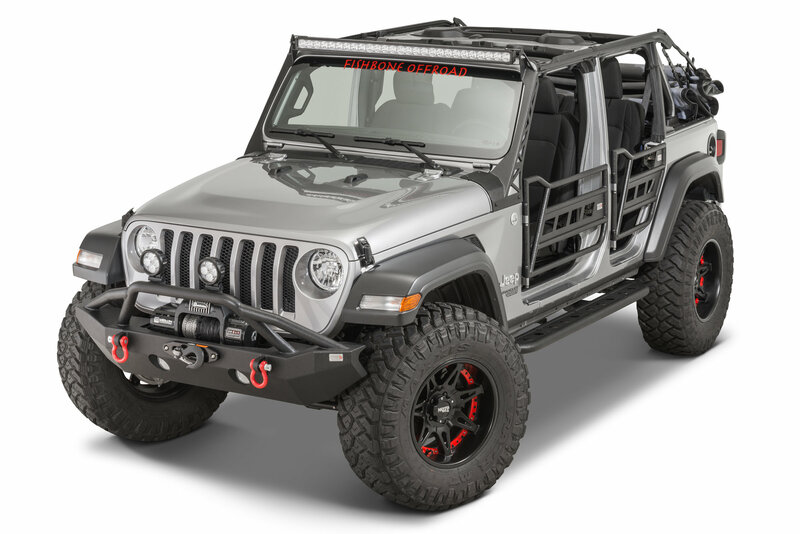 This bumper features and integrated low mount winch plate, d-ring recovery points, a heavy-duty grille guard, light mount tabs, and factory fog light mounts. Fishbone designed their Mid-Width Front Bumper to accept both halogen and LED factory fog lights without cutting, drilling, or other modifications. Light Mounting: The Mid-Width Front Bumper is designed to accept factory Jeep Wrangler JL fog lights (both halogen and LED). For additional auxiliary lighting, Fishbone also welds two light mounting tabs to the grille guard bar. Built-In Winch Plate: The integrated winch plate provides a sleek low mount for winches. By keeping the winch low inside the bumper, it will not affect air flow across the radiator. What is the weight of the bumper?